My sweetheart and I are planning a road trip to Marseille France. I know nothing about Marseille. For now I will rely on one of my favorite lady cooks, Julia Child, to show me the ropes of this mystery city through her cookbook. 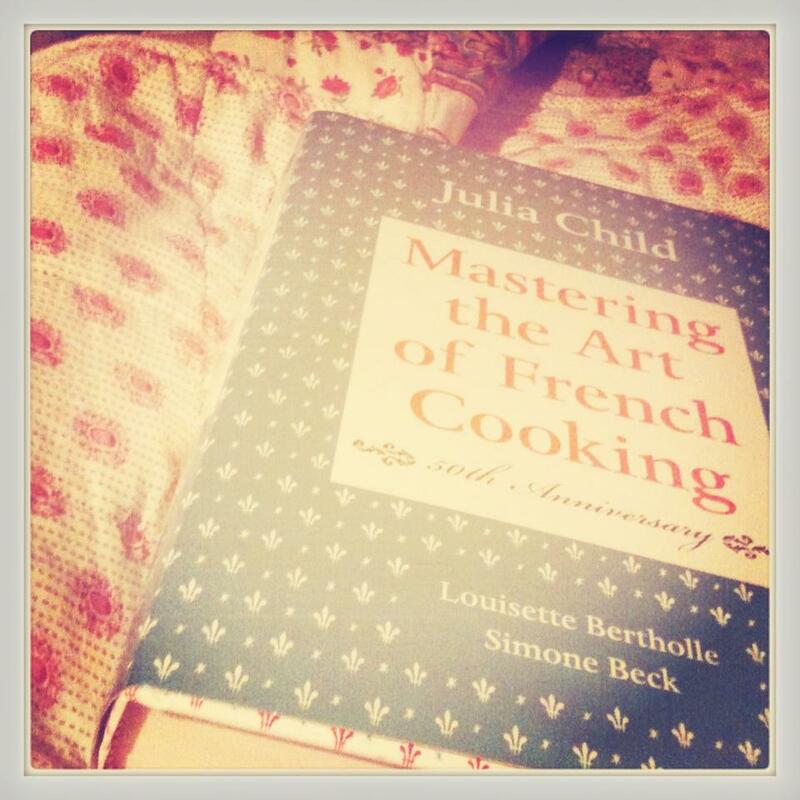 I read cookbooks in bed. Most of the recipes I drool over never make it from my bedroom to my kitchen, but they still manage to satisfy me. The first challenge I have found… how to make a proper roux without wheat flour. Let the games begin! This entry was posted in Uncategorized and tagged Books I'm Reading, Cooking, France, Life, Travel. Bookmark the permalink.